Hello friend! 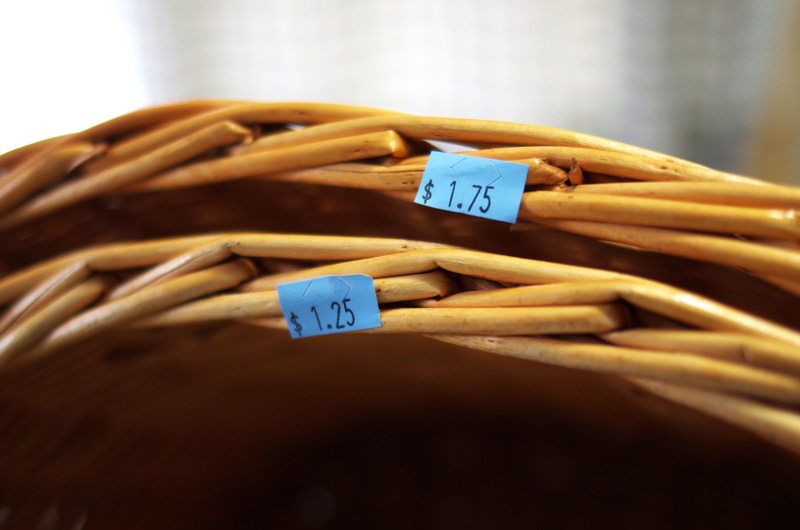 Wicker baskets are cheap and plentiful at thrifts stores. Have you noticed that? Probably because the color of them is so 80’s! 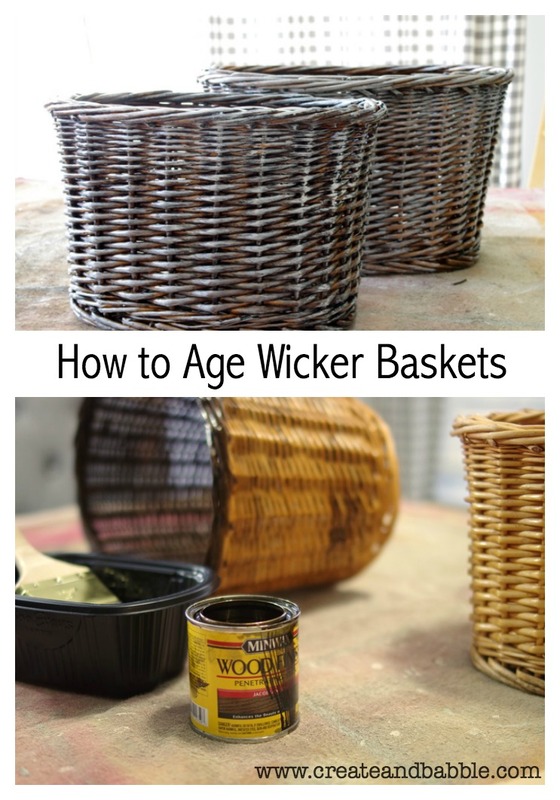 Well I’ve discovered an easy way to age wicker baskets that I want to show you. 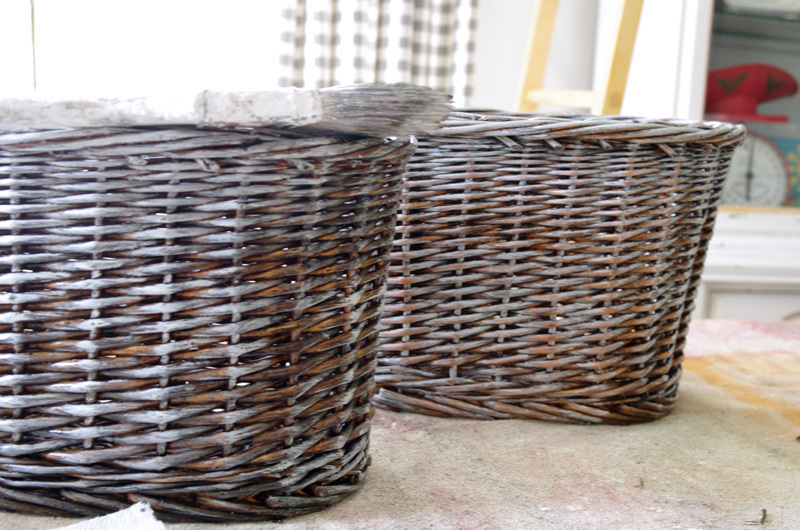 This is a really easy way to age wicker baskets and there are just a few steps. You don’t need a lot of supplies but the drying does take some time so fair warning there. 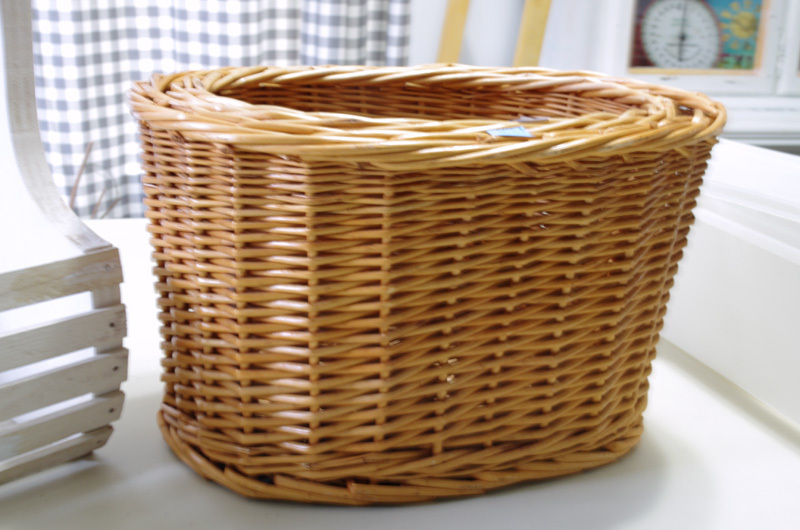 First you ‘ll need some wicker baskets. I found mine at a thrift store. $3 for two baskets – can’t beat that. Stain the basket using a dark stain. Apply with an inexpensive stiff bristle brush. I got mine from the dollar store. Remove the excess stain with a rag. Allow to dry a few hours. Reapply if necessary to deepen the color. 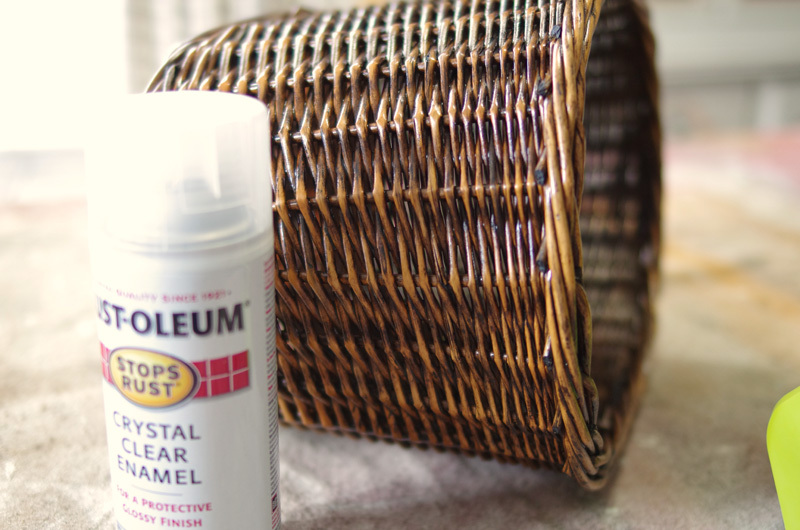 Spray basket with a clear sealer. Again, allow to dry for a few more hours or overnight. Dilute white or light paint with water. Pour some leftover light paint into an empty jar. Add a little water and then shake. 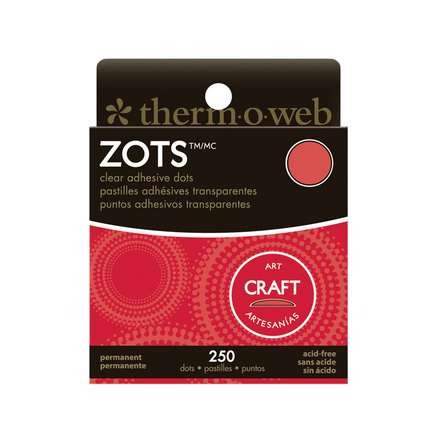 Dip tips of brush bristle into the paint and remove excess paint by blotting on paper towels. The paint brush should barely have any paint on it. 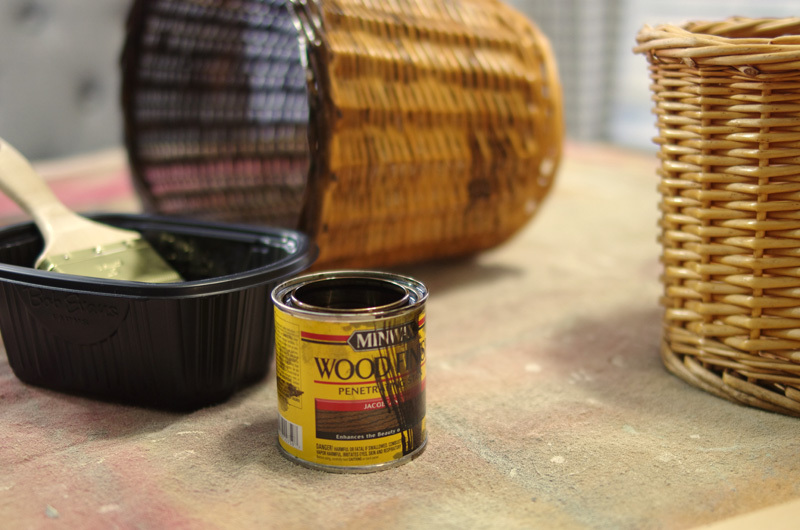 Lightly brush over baskets with the dry brush, adding more paint as needed. Much better! I plan on using these for storage in my office/craft room. Come back next Tuesday for the full reveal of my cleaned-up and reorganized creative spaces! Your basket project is awesome. Thanks for sharing. Love these, I have stained several with minwax but never thought to give a distressed look over top like you’ve shown, love this fresh idea! I would give them another coat or two of a matte finish clear spray so that they could be quickly washed if need be. 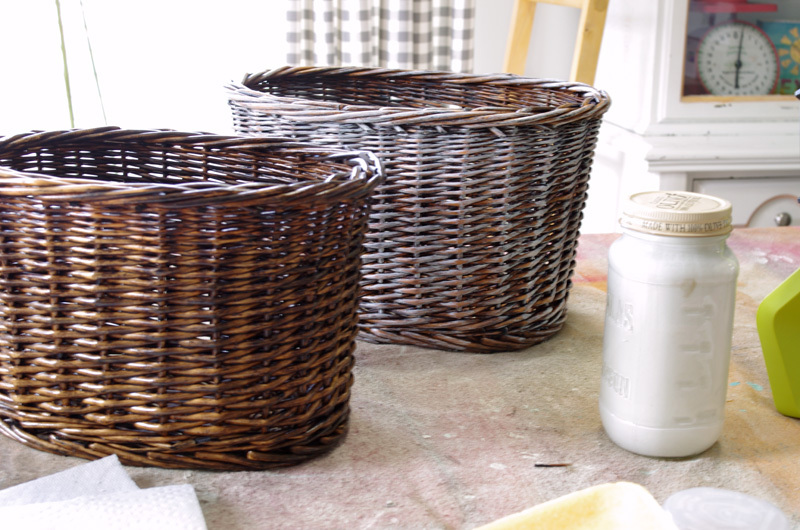 I have washed, dried, and painted or clear sprayed a LOT of baskets to give them new life but never stained them darker. What a great idea! I love drybrushing things but your finish is a cross between dry brushing and a wash which is great on baskets! Love the new look! I have a few baskets that I have been wanting to update, but wasn’t really sure what I wanted to do. 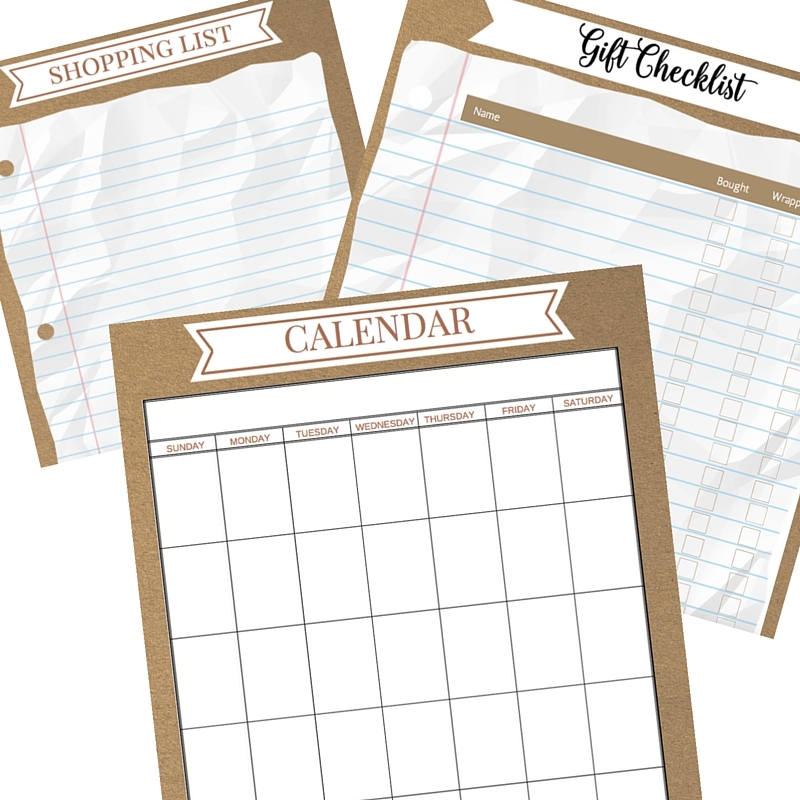 Mine are already stained so it would be an easy update, love the white distressed look. Very cool! I had no idea you could stain baskets like that. So many possibilities. I also love your whitewashed technique. It seems like baskets are never the color or finish I want, so both ideas are very useful. These are gorgeous! I am not too keen on the honey color either. It seems dated but these really updated them and now they are perfect! Thanks for the tutorial.